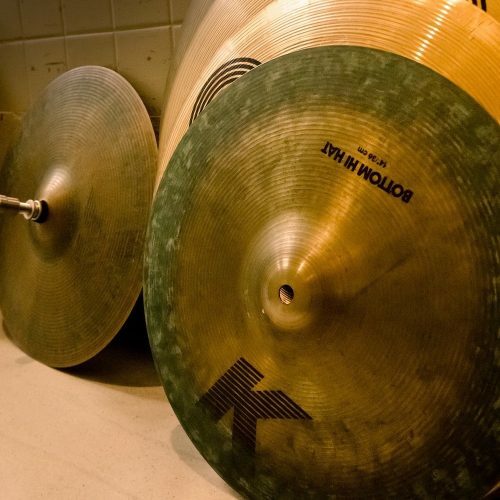 4 Best Drum Rugs To Keep Your Drums In Place! What Is The Best Drum Rug? The winner of the best drum rug goes to Meinl for this awesome and highly practical drum rug. I own this Meinl Drum Rug and I love it. It’s the perfect size measuring in at 5.25 by 6.5 feet and it’s lightweight enough to transport in my car to shows and rehearsals. This Meinl Black Drum Rug is a lifesaver when it comes to playing shows. When drums are set up on a hard surface without a drum rug things tend to go wrong quickly. The kick drum manages to move forwards each time it’s hit by the beater, and the hi hat pedal will also find it’s way to creep away from you! Luckily for you, this drum rug will ensure you never have to experience your drum set creeping away from whilst playing! It features a non-slip grip underside that allows it to attach itself firmly on the floor. And the high quality, tightly woven fabric top won’t tear or split with your equipment being placed on top. 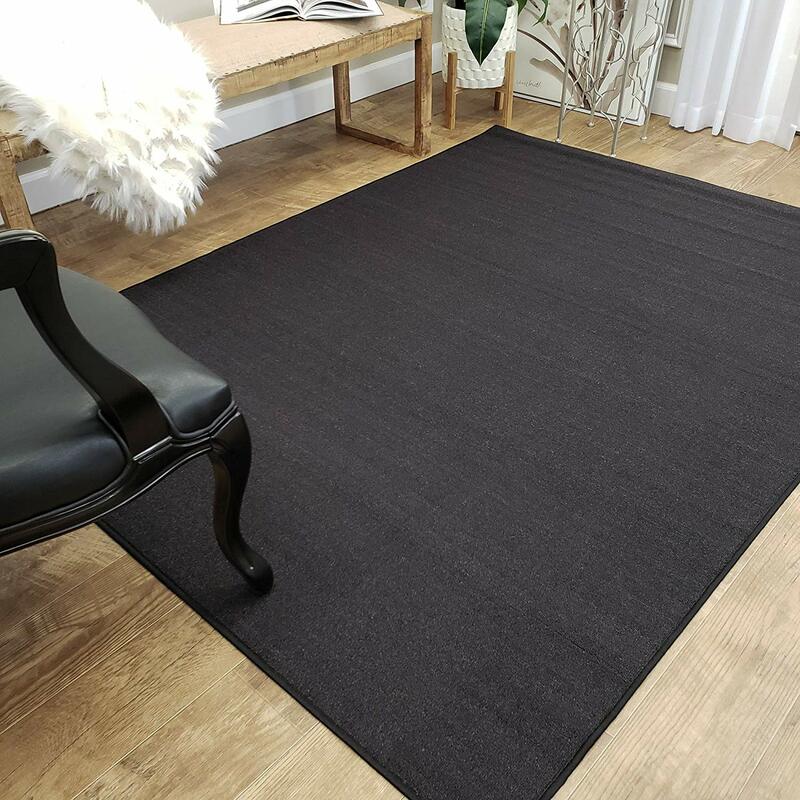 This durable and lightweight rug also has a Velcro strap to ensure it doesn’t unfold when in storage or when being transported between shows. This drum rug is the perfect solution for drummers experiencing ‘drum creep’ on hard floors. 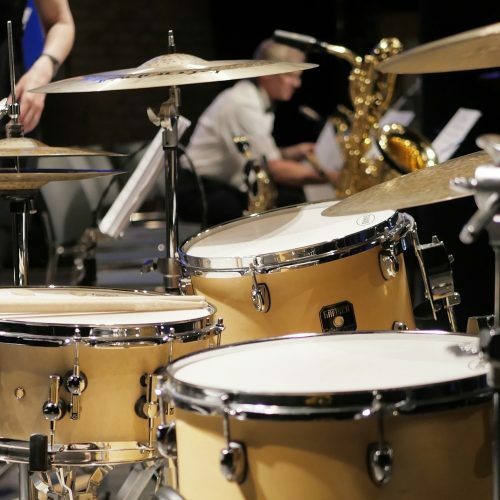 It’s not only important to ensure your drums stay firmly where you want them, but also to protect your floor from scratches, black marks and other potential blemishes that drumming equipment can make. Overall this is definitely the best drum rug on the market. It’s very well designed and it’s made from durable, high quality materials. I own this very same rug and I use it to protect my wood floor and for setting up my drums on stage! Up next in second place we have the very same, excellent quality drum rug from Meinl but this rug features a beautiful oriental design on the fabric top. This is the best drum rug for you if you would like to add some extra color and vibe to your living space! The high quality print looks really attractive and it adds some interesting flavor to your room. This 5.25 by 6.5 foot rug looks great on wood floors and I personally think it does an awesome job bringing adding some life to a room, and with a drum set on top of course! This Meinl Oriental Drum Rug is not only ideal for acoustic drum sets, but it’s also great for electronic drum sets to protect your flooring and ensure your drums don’t creep away from you. Just like the previous Meinl drum rug, this one has the same high quality materials and Velcro strap for easy storage and transportation. Same excellent rug, but with a vibrant design! Here we have DW’s drum rug offering to the drum market. This rug is perfect for use at home, in the studio or on stage to keep your drums exactly where you want them and to protect your flooring. This DW Drum Rug is made from high quality materials and this drum rug is designed to be used for frequent shows and touring. It is durable and robust enough to withstand the inevitable abuse equipment does experience whilst on the road! The non-skid rubber bottom is ultra strong and fits snug to the floor, and the woven fabric top is durable and hardwearing. The 5 by 7 foot size will be able to accommodate even the largest drum kit setups! This drum rug is ideal for all different musical applications and its lightweight enough to easily be transported anywhere. If you’re looking for the best drum rug to protect your floor and keep your drums right where you want them, this is a great option for you. Lastly on our list we have a budget mat with a non-slip base for your drum set. This budget drum mat is not made of high quality materials like the other drum mats within this guide, but this will keep your drums firmly in place. The size of this drum rug is 5 by 7 foot, which means it will be large enough to accommodate any size of drum set. Whilst this drum mat has a budget price tag, it does look bland and it is not made with the drummer in mind. If you really want something of substantial quality that will last you years then I would advise you to buy the Meinl Drum Rug. But if you just want something that you wouldn’t mind leaving at a gig, or having drinks spilled on, and something you can just throw in the van, then this is the best drum rug for you! A drum rug is an important investment to make in order for you to play at your best. This can be anywhere from at home, in a rehearsal studio, recording studio or on stage. Playing drums on a hard floor without a drum rug is a nightmare. You will find that your drum set will continuously move away from you as you play. Drum rugs are not only designed to keep you playing at your best, but they also protect your floor wherever your drum set is set up. A drum set has the potential to damage floors either by scratching, chipping or leaving marks. 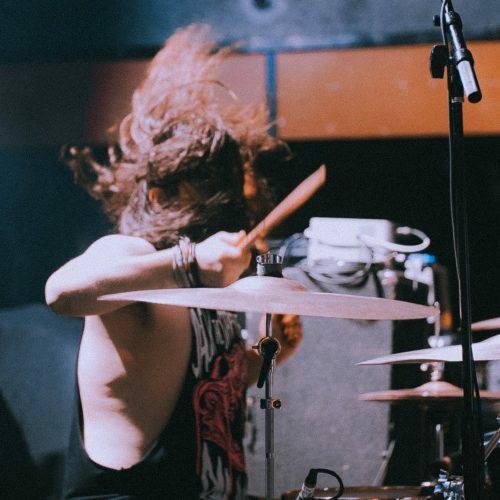 There are a lot of components within a drum set that has contact with the floor including stands, bass drum pedal, hi hat stand, drum throne and bass drum spurs. The bass drum spurs are sharp points that are intended to anchor the bass drum into place. In my opinion, a drum rug is an essential accessory for a drum set. Buying one will save you a lot of potential aggravation down the line and you will be thankful you have one! What Size Drum Rug Do I Need? Drum sets come in all shapes and sizes. You might have a tiny jazz drum set, or you might have a 20 piece drum set with multiple kick drums. Being mindful of what size drum rug you require will mean you utilize the space effectively, and will ensure all your drums fit on it. I have played venues and stages with such small stages that a drum rug is curled up at the edges and only half folded because of the small amount of space that I have to set up my drums. With that being said, you should buy a drum rug that can easily accommodate your drum set. A standard drum mat size is 5 by 6 feet, and this can easily fit an average 5-piece drum set on it, if not much more. Why Is Durability Important For A Drum Rug? As I previously mentioned, a drum set has lots of direct contact with the floor. 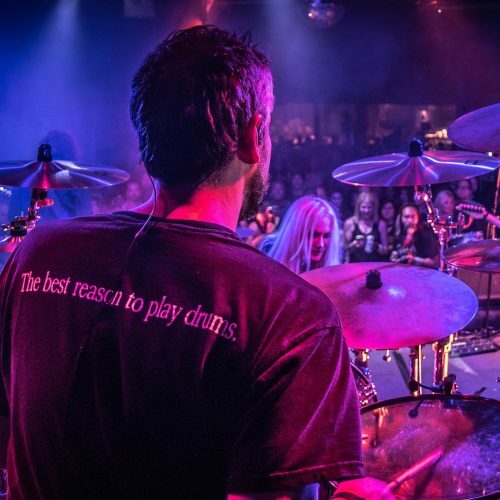 There is metal, rubber and wood that will be firmly affixed against the drum rug; and the sharp parts of the drum set will cause some abrasion against the surface of the mat as you play. 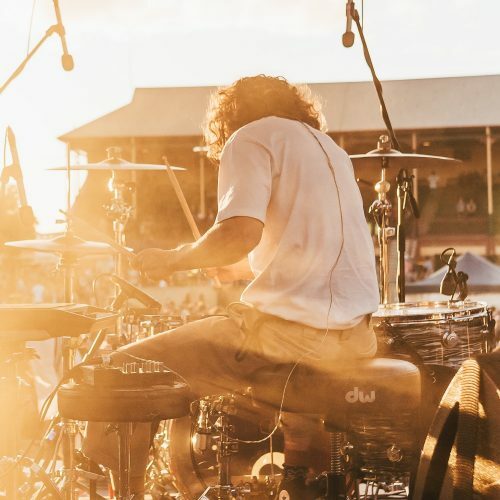 Drum rugs need to be durable so that they will never tear, rip or be pierced by any part of the drum set whilst playing or in the van in transit. As much with all musical equipment on tour, a drum rug is liable to lots of physical abuse on tour. So it will need to be made of quality materials to endure life on the road! 4 Best Bass Drum Heads To Enhance Your Kick! 4 Best Snare Wires To Enhance Your Snare Sound! 25 Best Gifts For Drummers That Are Unique! 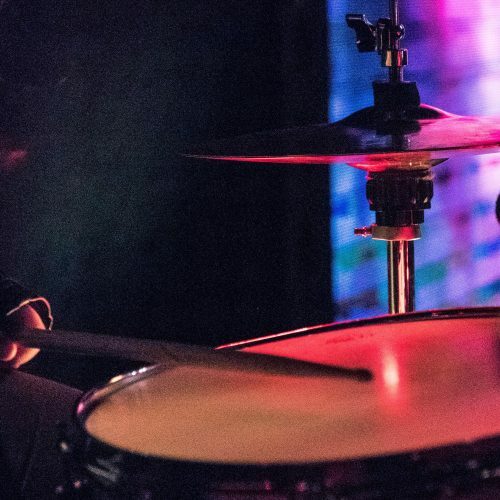 5 Best Drum Heads To Upgrade Your Drum Set! 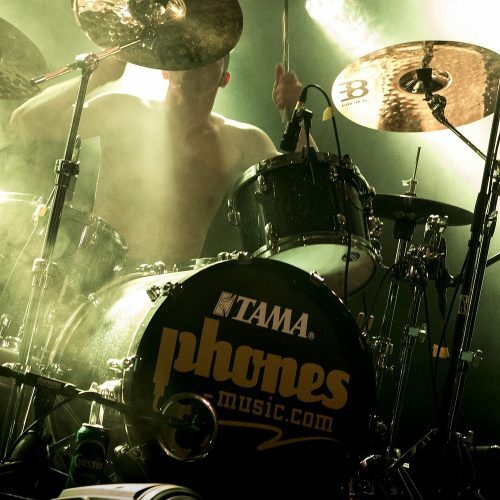 5 Best Cymbal Cleaners To Restore a Brilliant Shine! 5 Best Drum Tuners For Fast And Accurate Tuning! 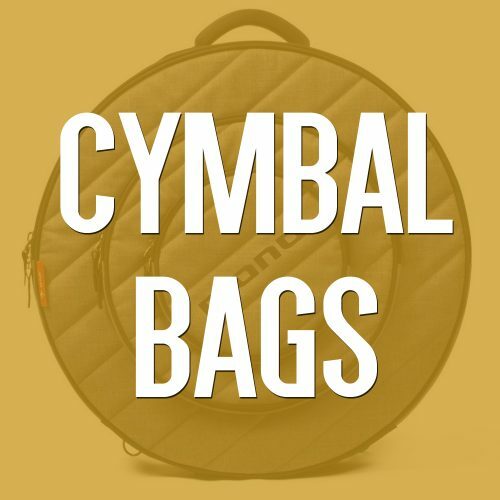 5 Best Cymbal Bags for Reliable Protection! 5 Best Drum Practice Pads For Quiet Rehearsing! Hi! I’m Gideon - thanks for checking out Drum Helper! Drumming has always been a passion of mine. 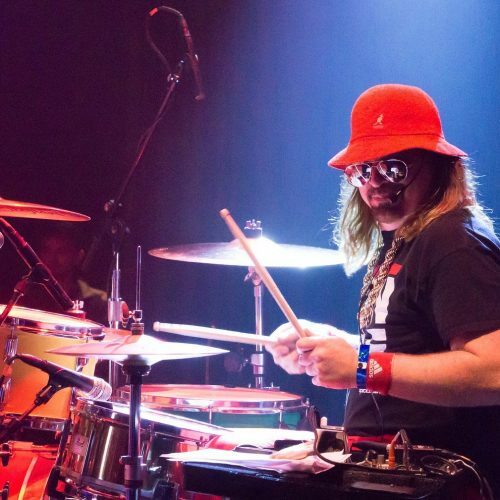 I have been playing drums for thirteen years now. In high school I achieved a music scholarship, and I went on to study Music at the University Of Westminster. I created Drum Helper to be a free online resource; dedicated to helping you achieve the most from your drumming! This site is intended for informational purposes only.